Whether you need to move building or leave an old office, we offer a one-stop office clearance service which will save you time and money as well as give you the peace of mind that you are receiving a fully documented green and sustainable service. ► Competitive quotes for all budgets. ► Professional and experienced staff. ► Recycling and disposal of unwanted furniture. ► We buy unwanted furniture in good condition. ► Full compliance with all UK and EU legislation, including WEEE. 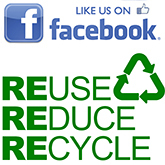 ► IT recycling and safe disposal. ► Secure data destruction (electronic and paper). ► Rubbish clearance and recycling. For more information contact our sales team now on 0208 203 0440 or email us at sales@deskstop.co.uk.